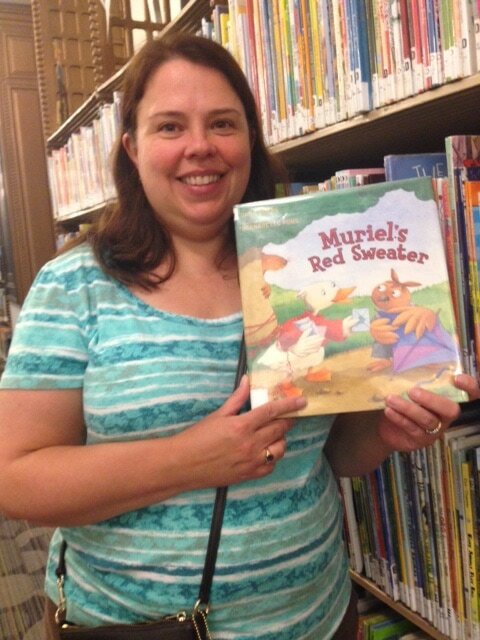 The above photo of me holding my book, MURIEL'S RED SWEATER, was taken at the New York City Public Library. How exciting to find my book there! Below you can see all my children's books. MURIEL'S RED SWEATER by Dara Dokas, illustrated by Bernadette Pons - Muriel, the duck, is in a hurry delivering her birthday invitations. She doesn't notice that her sweater has caught on a nail. As she runs around the neighborhood what is that trailing behind her? 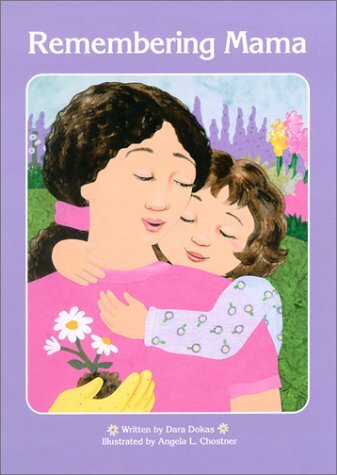 REMEMBERING MAMA by Dara Dokas, illustrated by Angela L. Costner - This book helps children deal with grief and loss. SAVING SHADOW by Dara Dokas, illustrated by Evelyne Duverne - Taylor finds an injured cat under her porch. After bringing the cat to the veterinarian, it's time to find the cat a family. Will Shadow find a home?